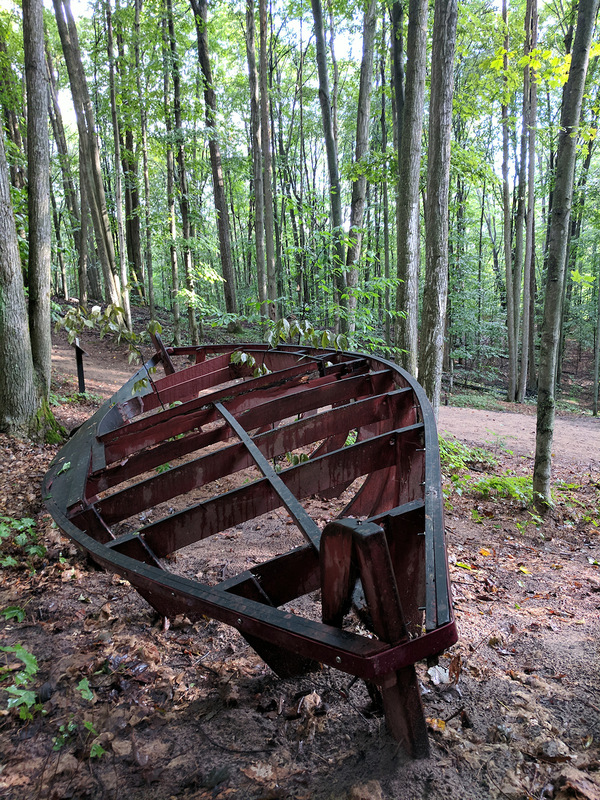 Imagine a boat being built in the forest. You come upon its partially completed hull just as the shipwright has taken a break, leaving his tools and refreshment on a nearby ladder. Through this juxtaposition of place and product David Greenwood encourages the viewer to reflect "on the beauty of boat forms, on the forests from which wooden boats are made, and on the humorous absurdity of a boat being build in secret so far from water. 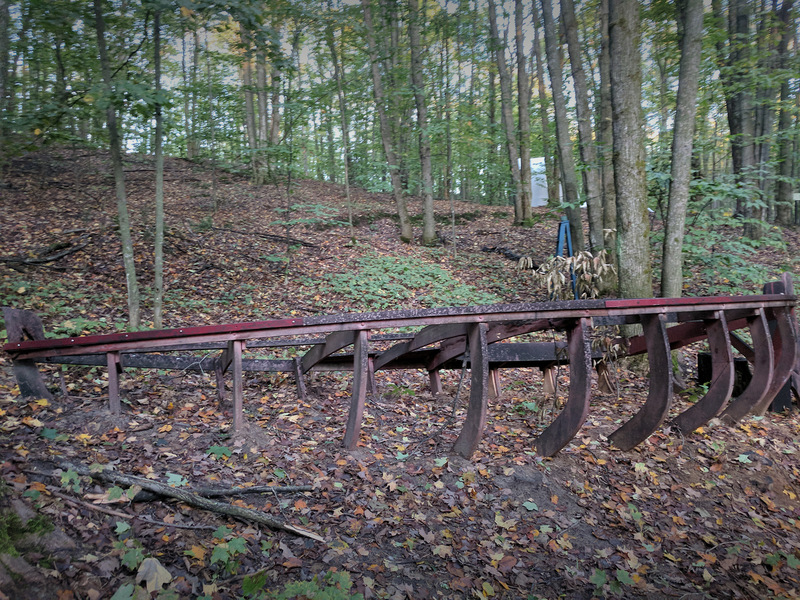 The sculpture is derived from the “boat works series” Greenwood has been creating off and on since 1983. It is based on a 21-foot double-ended sloop design but is more linear. The structural “transparency” of Secret Passion allows vegetation to grow into and through the piece, integrating it with the site.